One season after falling to Melrose, Nashoba hopes to win its fourth Super Bowl this decade. On Monday night, we started by looking at the Division 2 Super Bowl between North Andover and King Philip. This morning, we continued by breaking down the Division 5 Super Bowl between Nipmic and Scituate. Now, here's our preview of the Division 4 Super Bowl that pits Dighton-Rehobtoh against Nashoba. Preview: Dighton Reboth's 2-2 start to the season is a long distant memory. Since their first four games, the Falcons have been on fire winning seven consecutive games to reach their first Super Bowl since 1999. In the postseason, Dighton-Rehoboth's ground game has been the heart and soul of its success. Fullback Chase Carroll leads the attack, scoring multiple touchdowns in all three of the Falcons tournament games including the game winning touchdown in its sectional final win over Milton. Supporting Carroll are backs Reis Foley and Joe Carrera. Three three have combined for 1,791 yards and 25 touchdowns. Keeping opposing defenses honest is senior quarterback Harrison Pray. Pray threw for nearly 150 years and three touchdowns in D-R's sectional semifinal win over Plymouth South. Alongside its balanced offensive attack is a defense that has come through in the clutch for most of the second half of the season. Defensive end Mason Cadorette spearheads a big Falcons defensive line while Jaren Ramos has made key plays in the secondary. 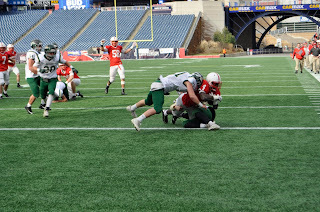 If there is a team that will not be phased by the aura of Gillette Stadium its Nashoba. The Chieftains will be making their second consecutive Super Bowl appearance on Friday night and third in four years. Through three postseason games the Chieftains defense has been rock solid allowing just a combined 27 points. Brendan Lee has been a standout at middle linebacker while Jack Bonazzoli and Troy Barksdale hold down the fort in the secondary. Jack Caihll and Matt Johnson each have over 40 tackles. 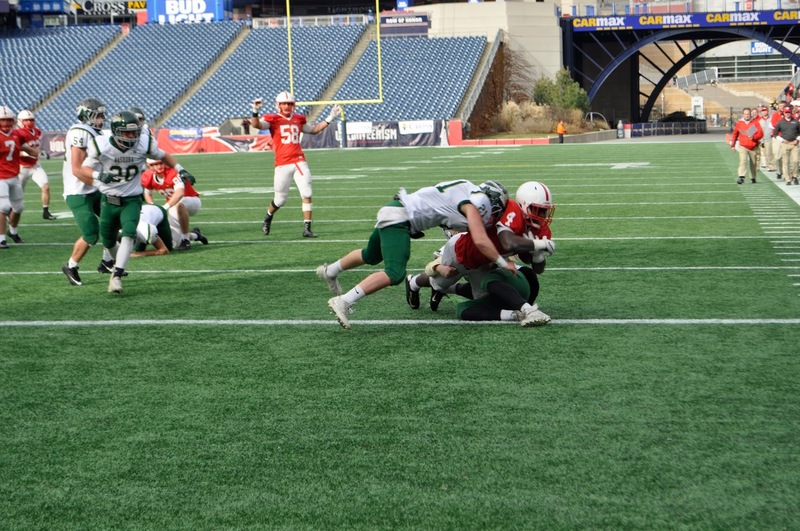 While Nashoba's offense may not be overpowering, they can beat you in a variety of ways. Quarterback Sam Bolinsky is a physical presence at towering six-foot-four inches, 225 pounds and holds a strong arm. The senior has 22 touchdowns to just 4 interceptions. Surrounding Bolinsky are weapons John Foney and Troy Barksdale. Foney has 35 catches for 451 yards. Complementing Bolinsky are backs Alex Childs, Danny McNulty and Lee. Childs has 642 yards to his name to go with 11 touchdowns. Throughout the postseason, Dighton-Rehoboth's secondary has been exceptional, coming up with big interceptions and outstanding pass protection against quick opposing wide receivers. In the second half of its state semifinal win over Gloucester, Chieftains wide receivers Troy Barksdale and John Foley were unstoppable piling up yards after the catch. Danny McNulty, Will Danby, and tight end Matt Johnson also provide Bollinsky alternate options to choose from. If Nashoba's wideouts are consistently able to get open, and use their speed and physicality to gain chunks of yards after the catch the Chieftains offense will get up and down the field in a hurry. Both of these teams have feasted off the success of their running games, deploying multiple power backs to wear opposing defenses down. Most notably, they are willing to run the ball in any situation and on any down. Whether it be Alex Childs, Brendan Lee, and McNulty for Nashoba or Chase Carroll, Reis Foley, and Joe Carrera for Dighton-Rehoboth it will be critical for both teams to generate success on the ground to open up the passing game.